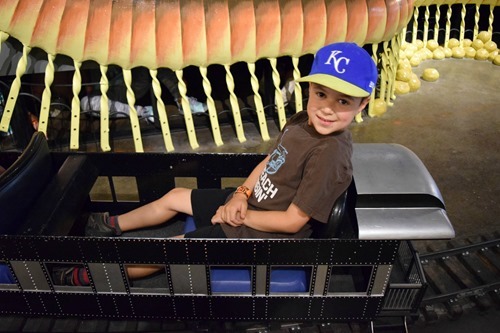 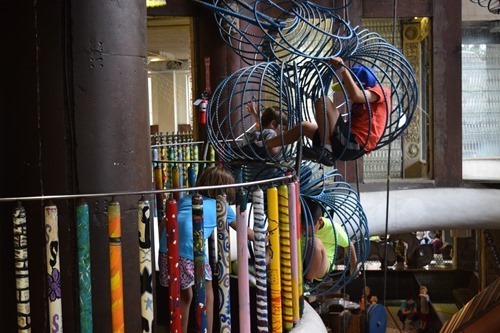 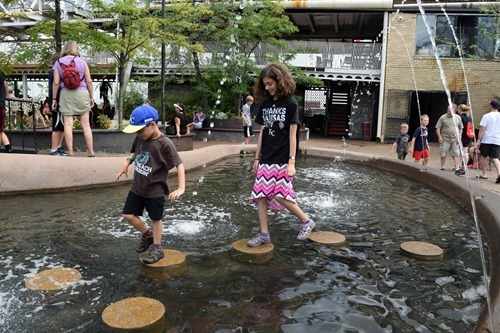 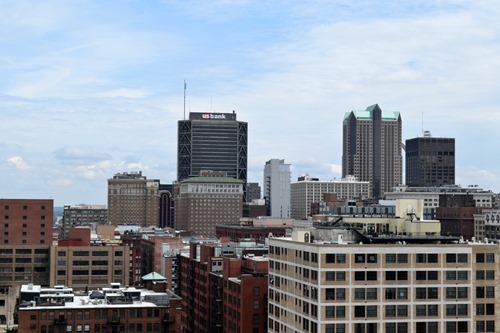 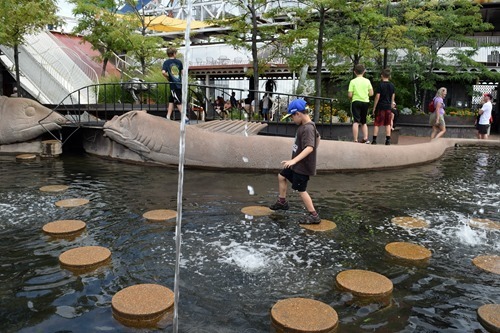 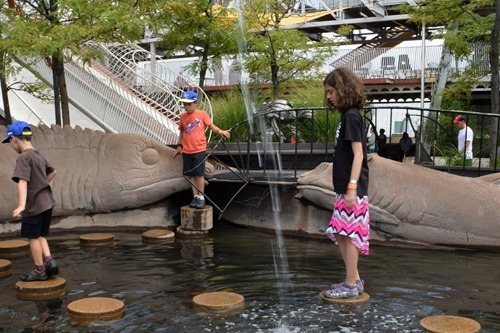 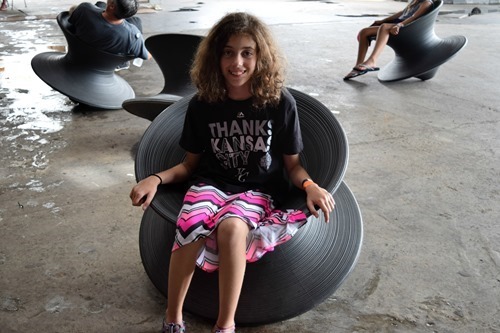 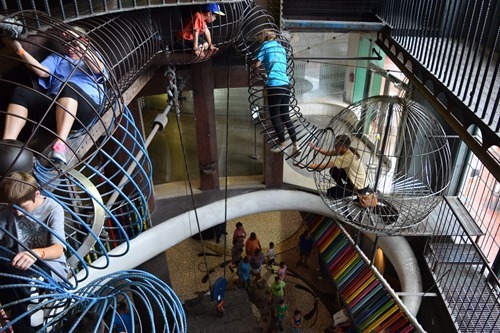 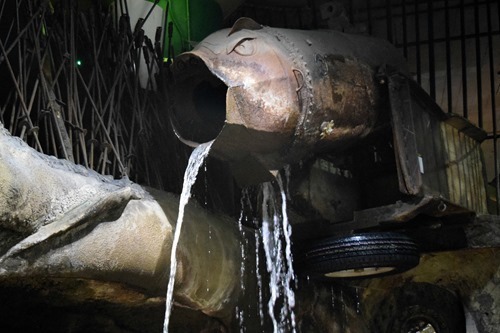 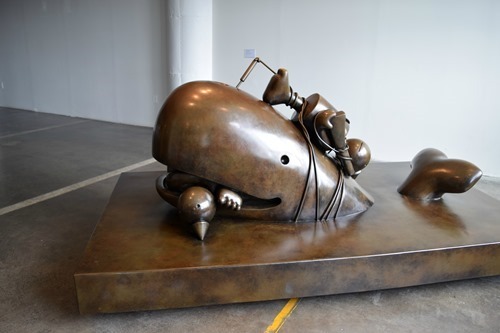 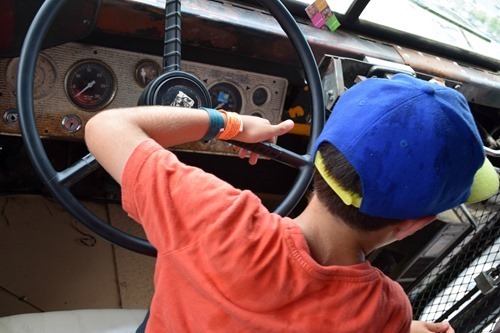 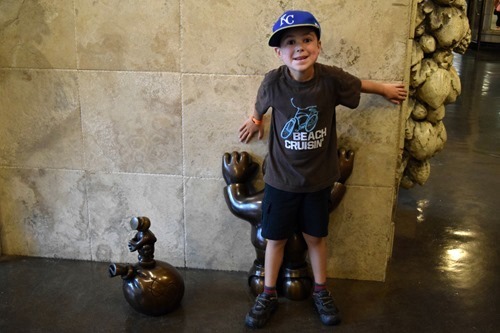 One of the reasons my kids were so excited to go to St. Louis was to visit the City Museum. 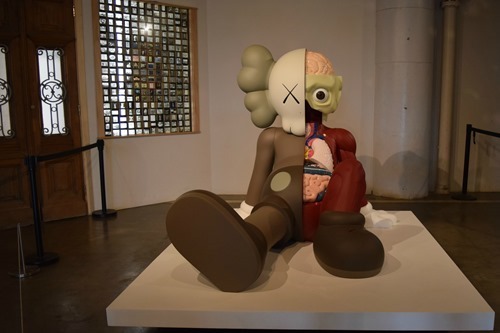 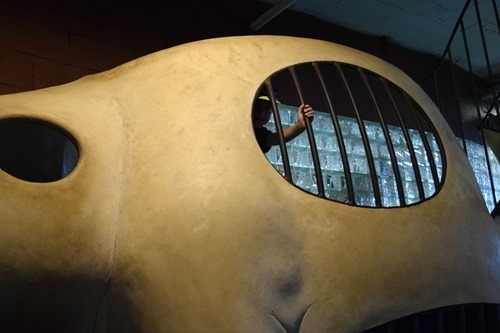 They had been to the museum before, but I had not. 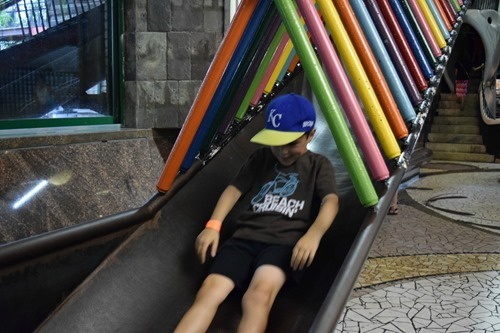 I was impressed with the design of the place, and found that it is basically a huge play area for kids – just what my kids love! 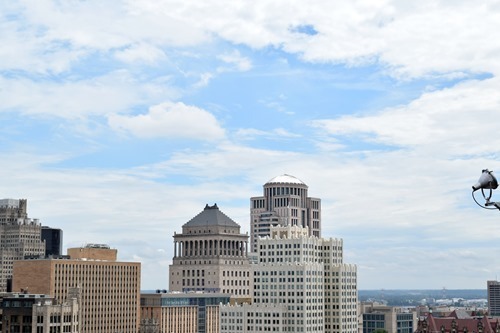 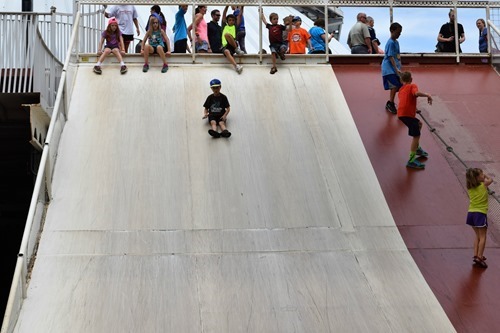 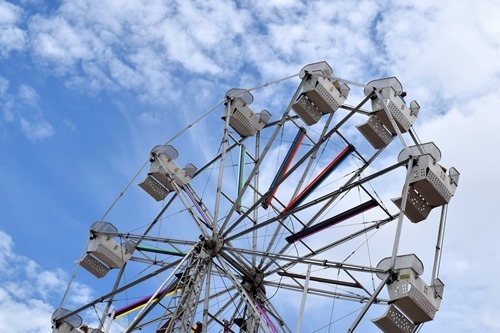 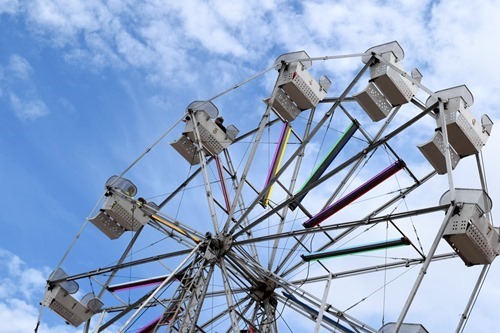 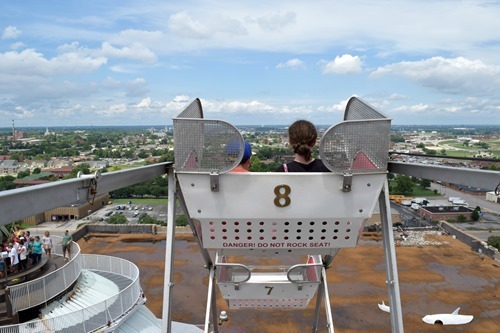 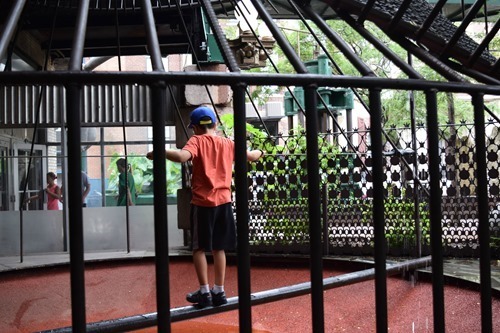 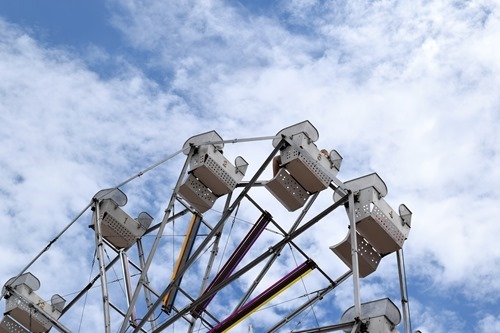 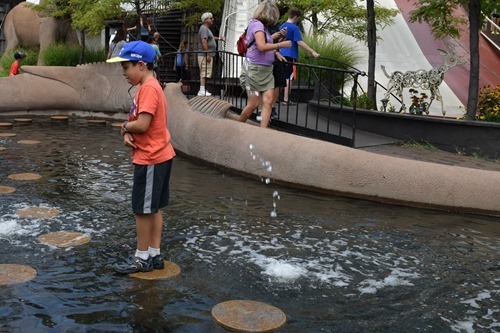 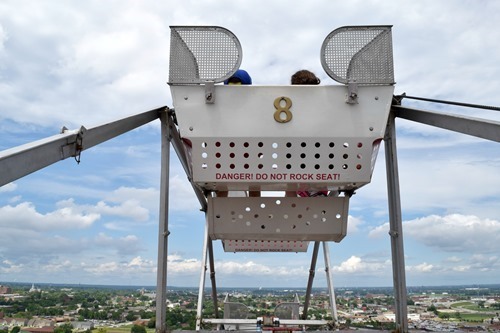 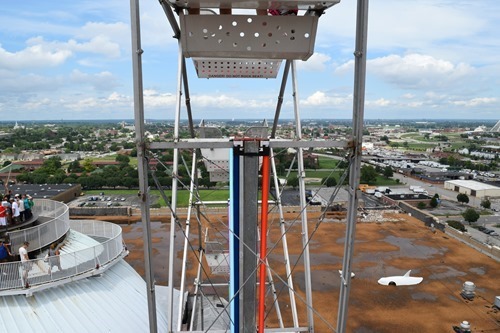 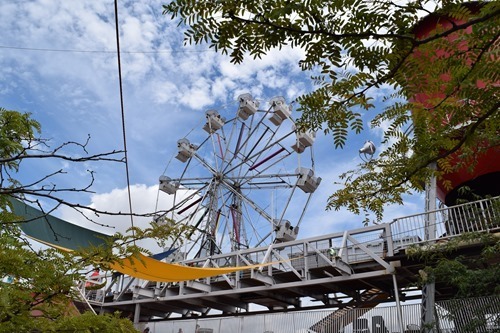 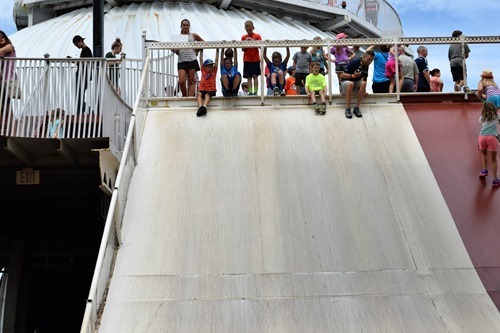 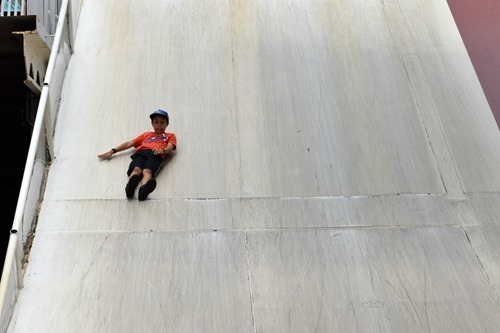 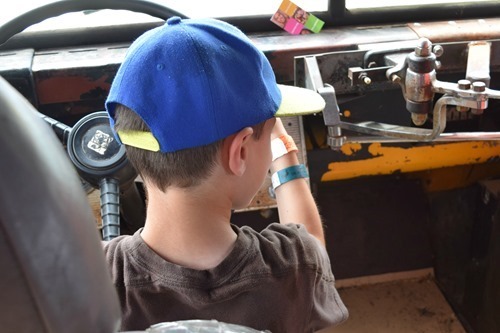 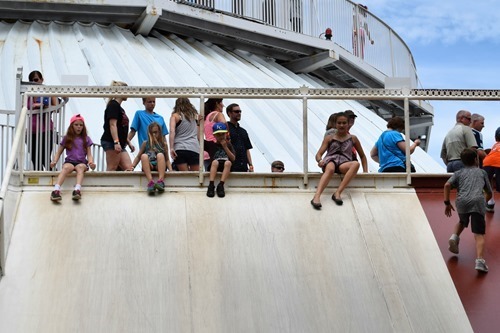 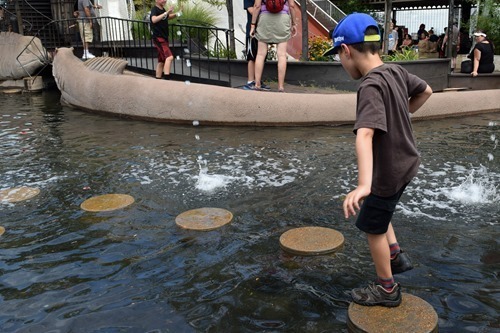 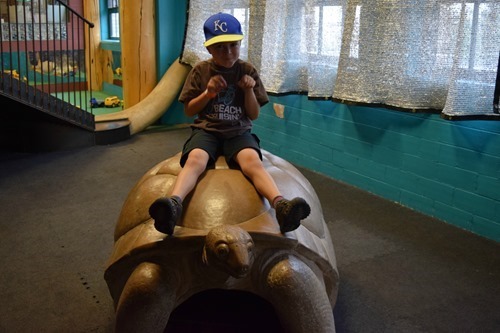 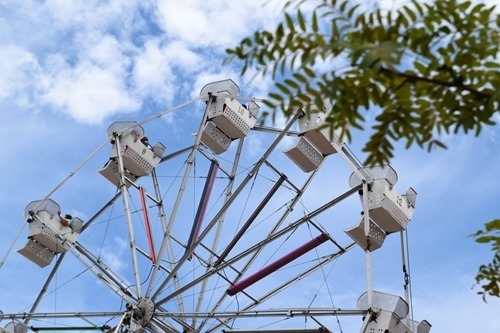 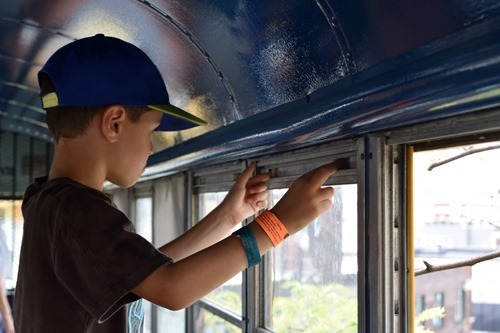 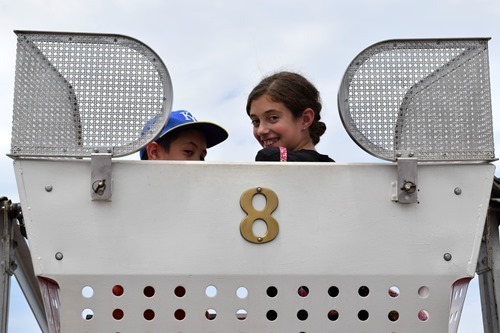 There are tunnels, things to climb, slides, a mini-train for the little ones, a circus show, an outside area with even more to climb, and for $5 extra, you can go to the roof, which has more slides, climbing, and a Ferris wheel! 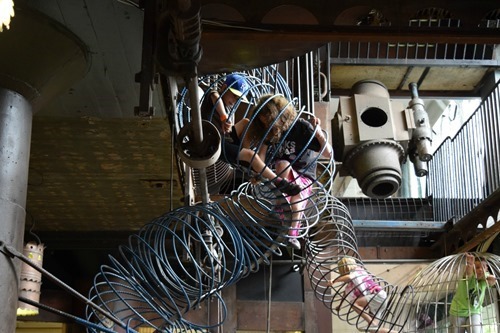 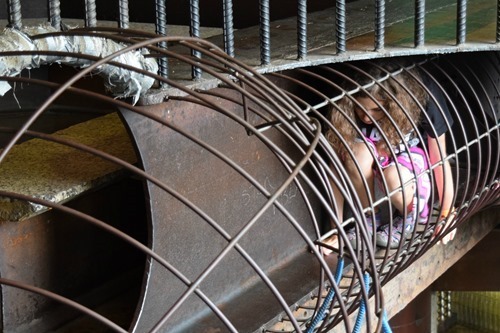 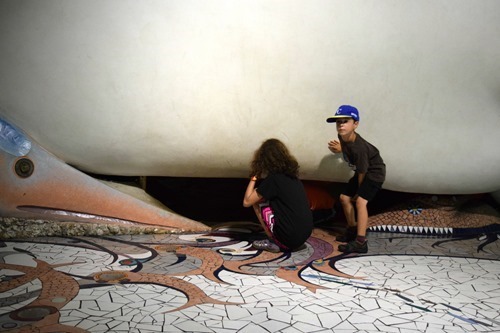 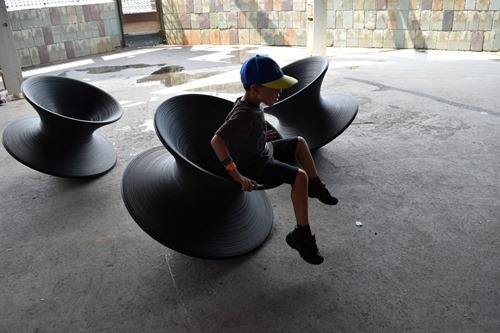 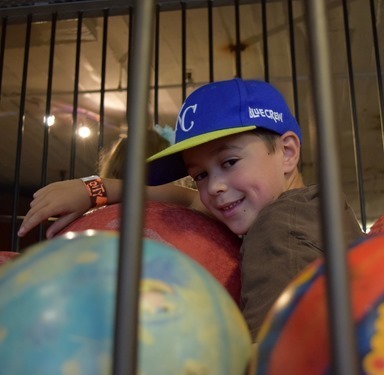 My number one tip for the City Museum is this: You will lose sight of your kids. 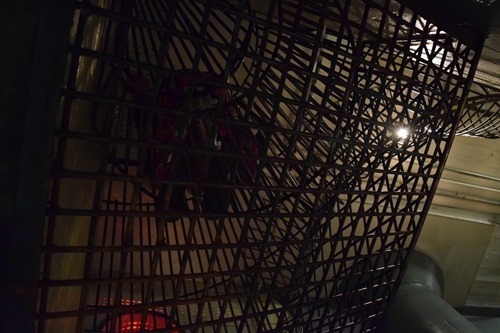 You should have them know where you are so they can find you, because you won’t be able to find them! 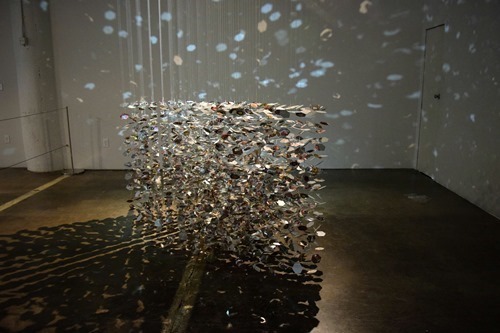 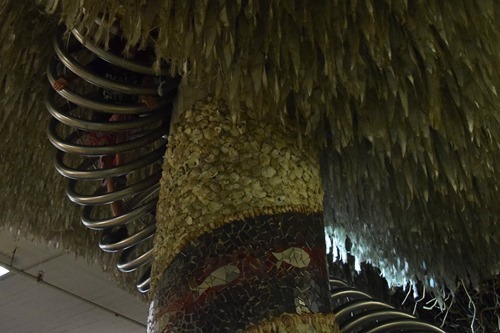 You can basically crawl under and through everything you see, so keep a look out. 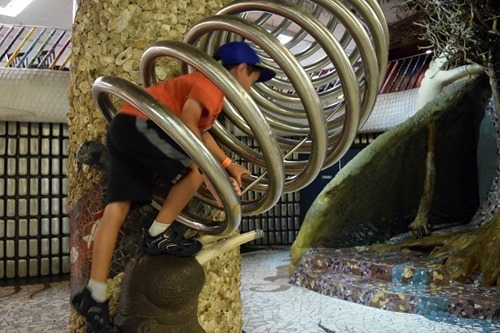 My kids discover new things every time! 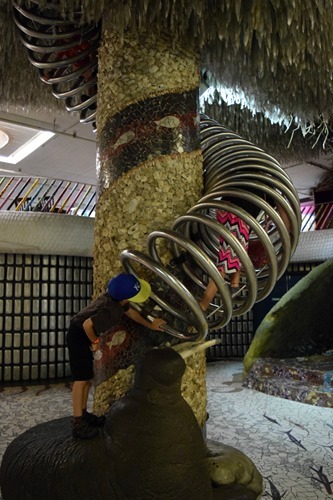 The museum itself is made out of such fun materials! 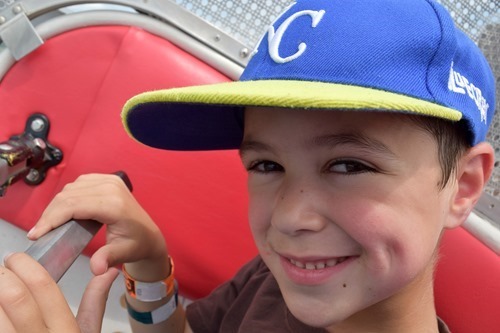 Simon enjoyed riding the train – next time he’ll be too big for it! 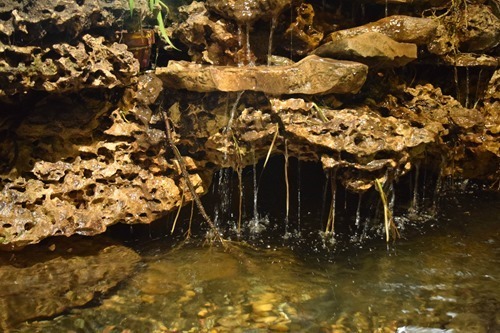 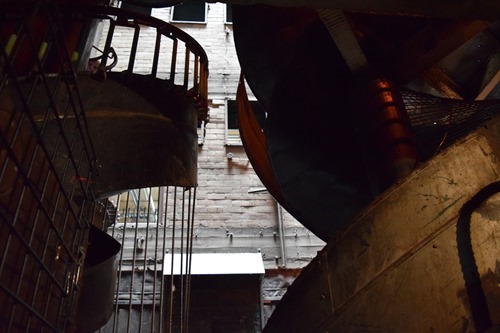 So many fun things to see and photograph! 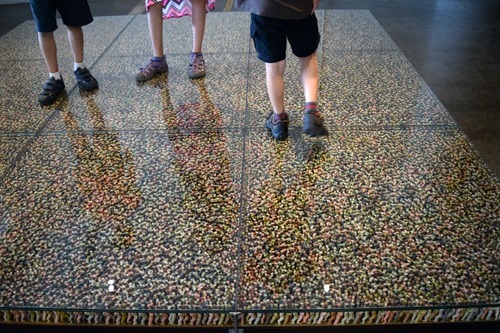 This glass floor is filled with little people holding up their hands, like they are holding you up when you stand on them. 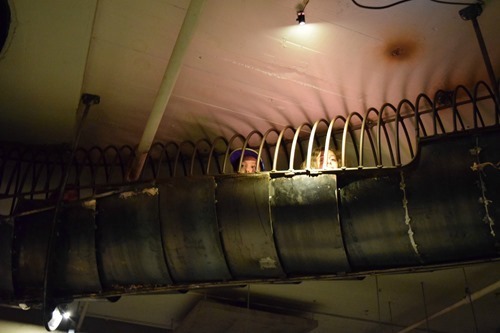 One way to get down the stairs is through this climbing tunnel. 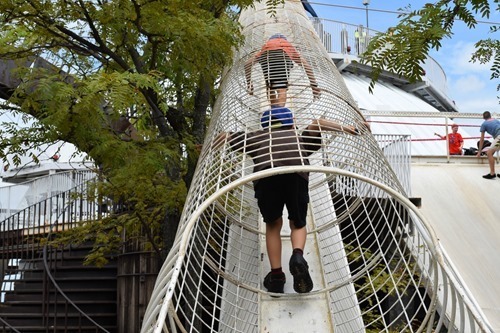 That might be one of my kids climbing above me. 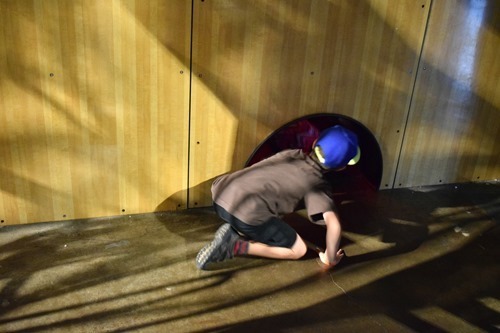 I really lost track of them outside! 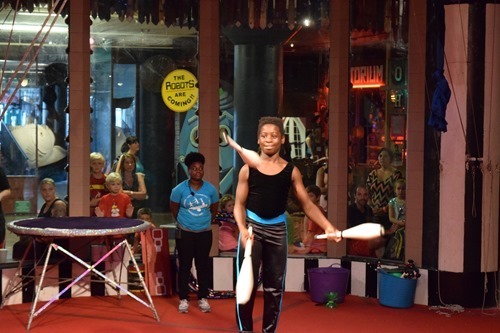 We went back inside to watch the circus performers. 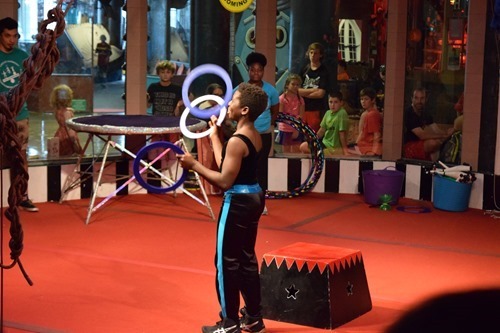 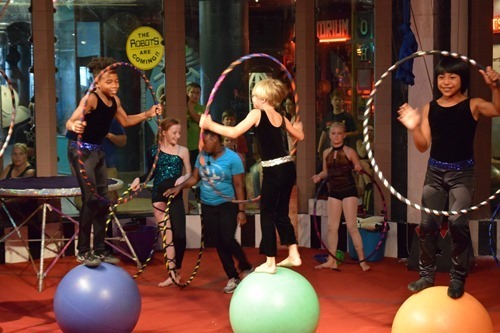 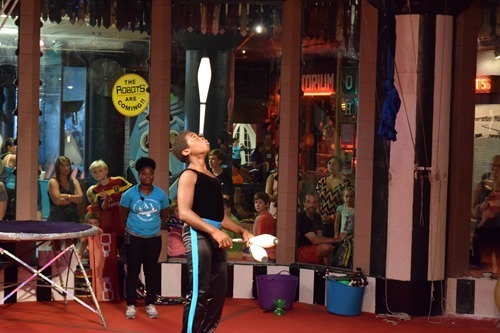 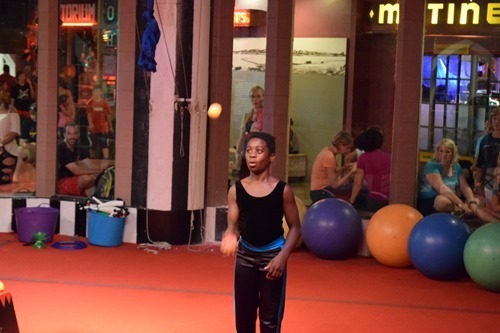 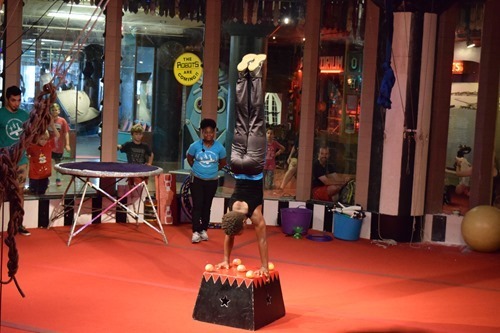 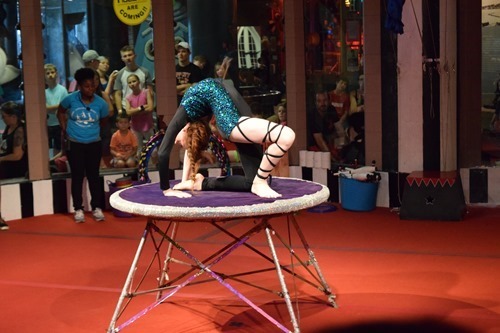 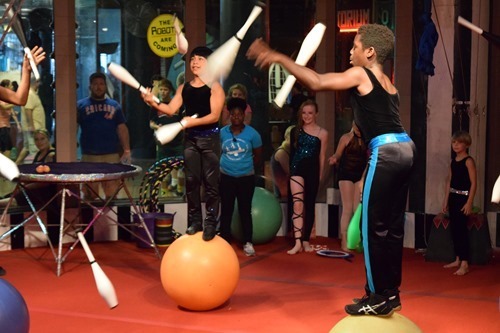 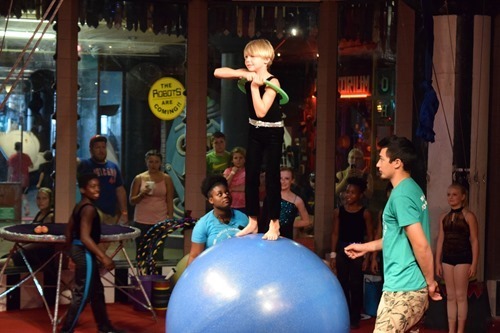 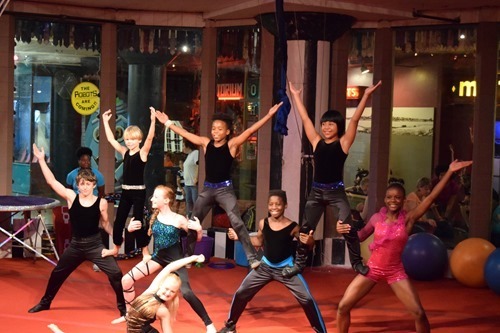 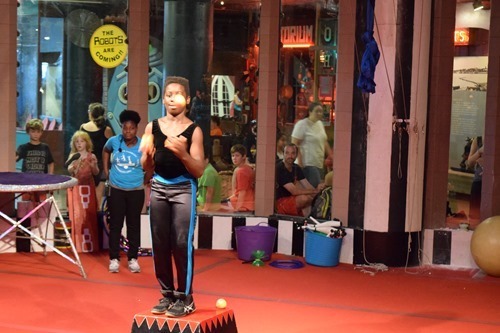 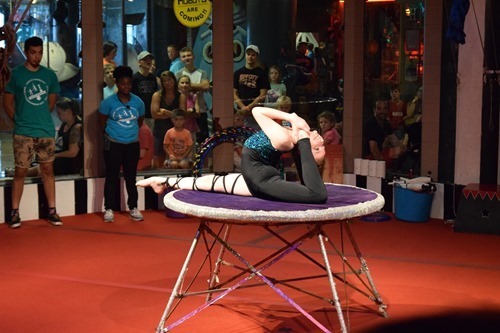 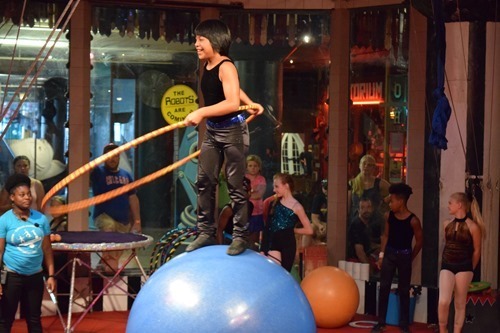 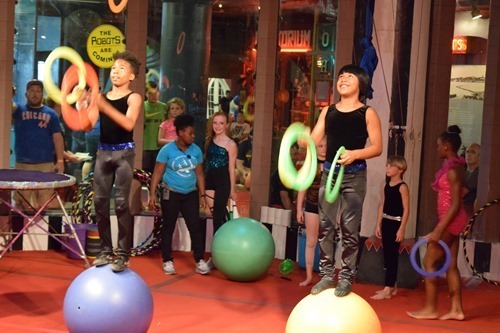 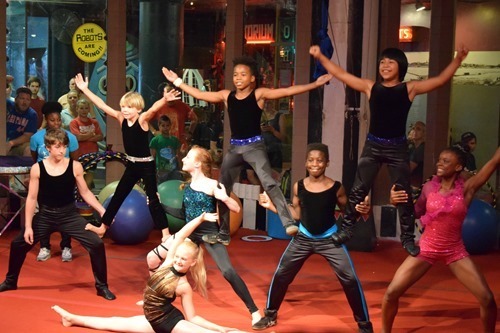 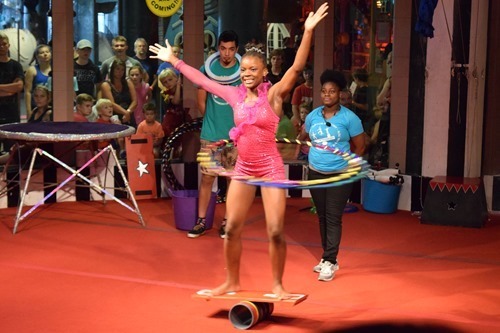 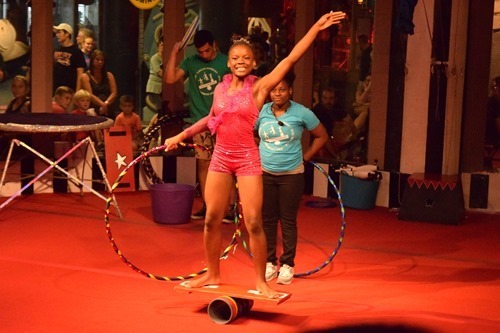 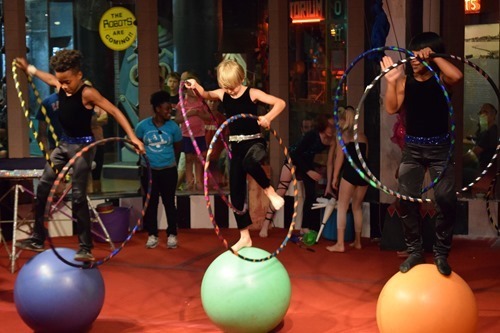 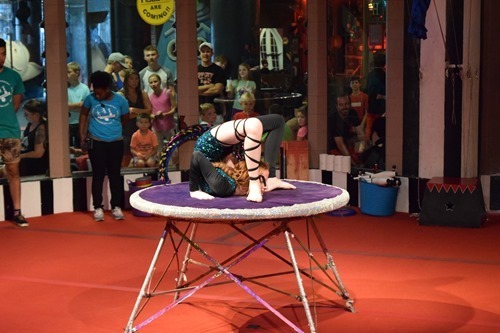 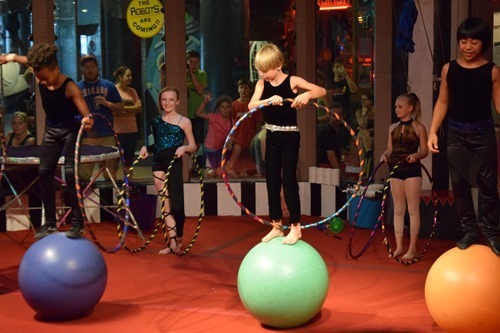 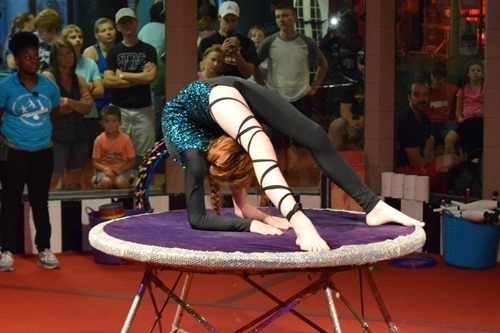 The kids are part of a group called Circus Harmony who learn and perform at the City Museum. 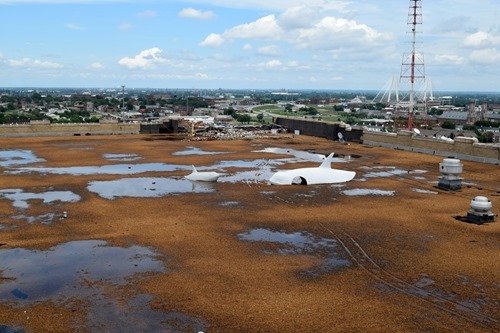 Next, we visited the roof! 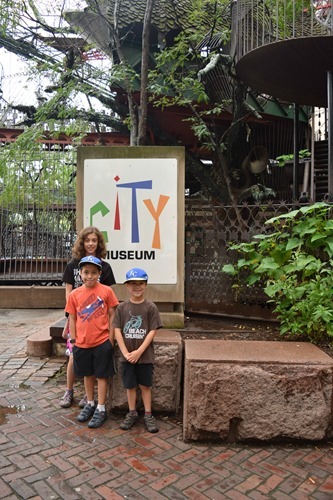 It was closed when we first arrived, but we were able to add it on when it opened. 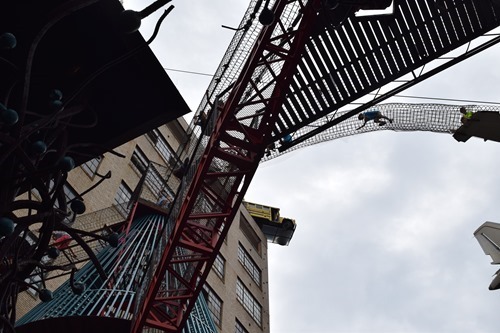 There’s a bus on the roof – it looks like it’s hanging off the edge of the building! 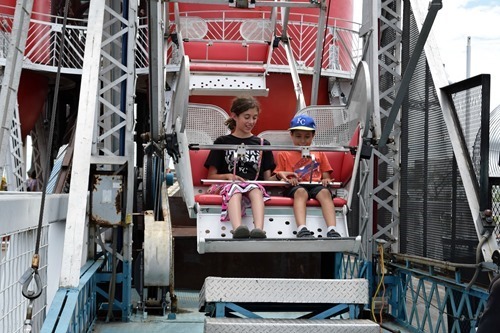 We waited on line for the Ferris wheel for awhile. 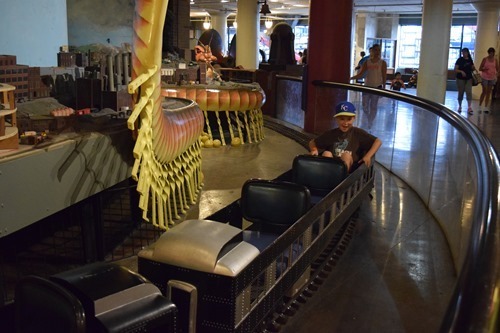 Zachary lucked out because he kept leaving the line and coming back and he managed to be there when we got on! 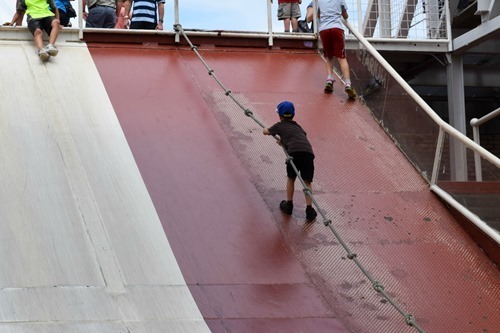 In order to get back down from the roof, we took the slide. 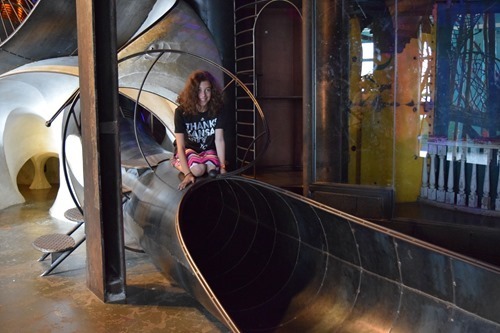 Simon wasn’t tall enough for the 10-story slide, so Gabbie, Simon, and I went on the 5-story slide! 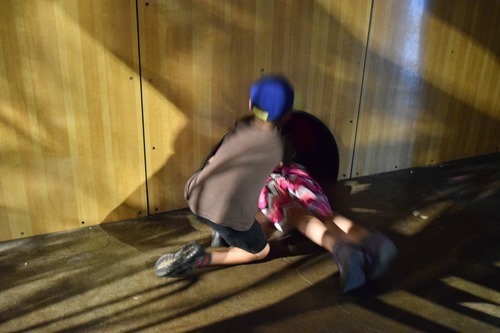 Zachary went down the whole thing. 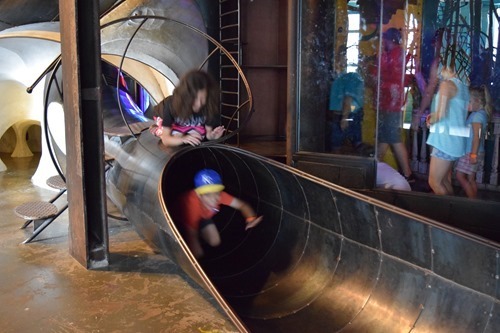 When we came out of the slide, we were in a cave area, and we did not know how to get back to the lobby! 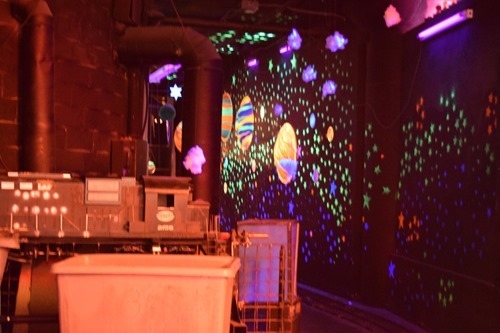 I’m not sure why I don’t have pictures from that area, but I’ve probably shared enough already! 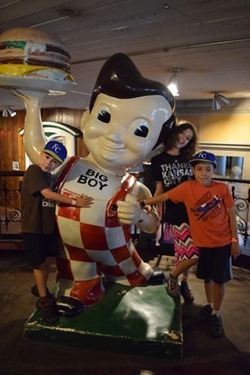 I think the kids would have stayed longer at the museum, but since our lunch was back at the hotel and we were hungry, we decided to leave at that point. 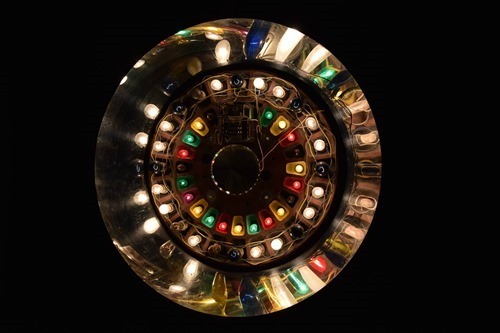 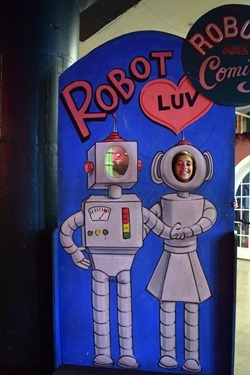 However, I’m sure we will be back in the future! 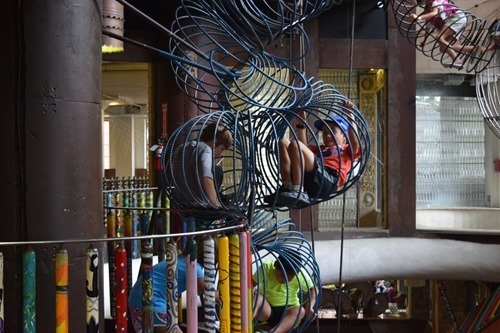 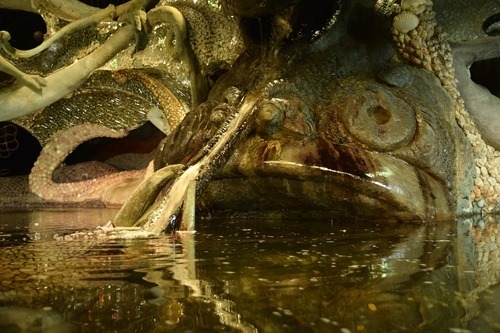 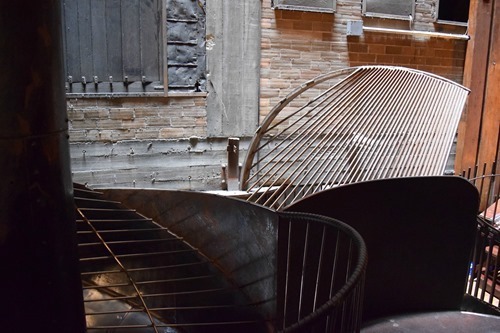 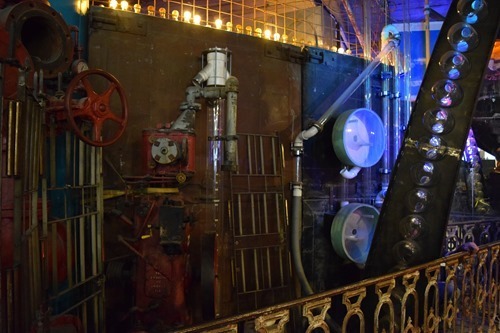 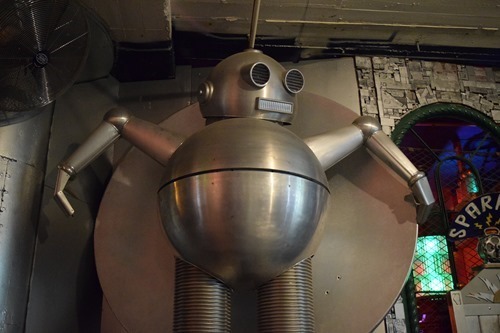 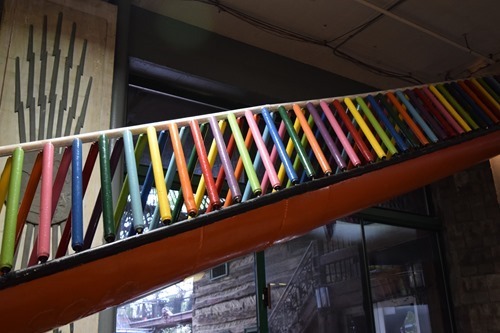 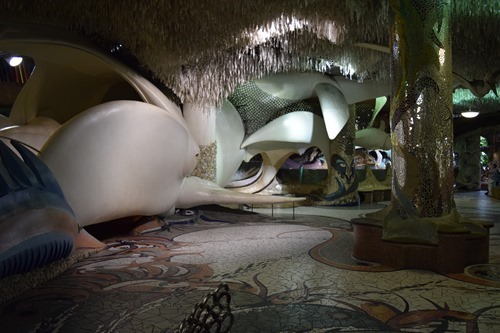 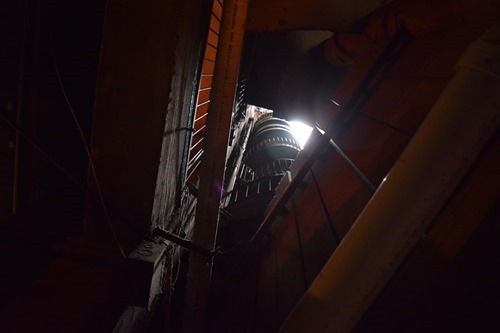 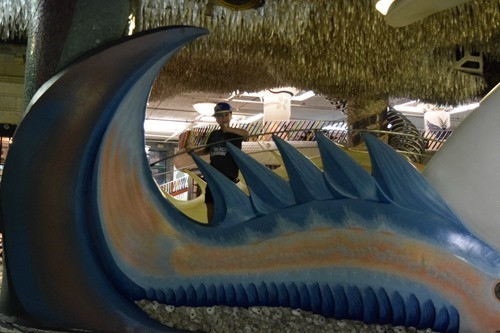 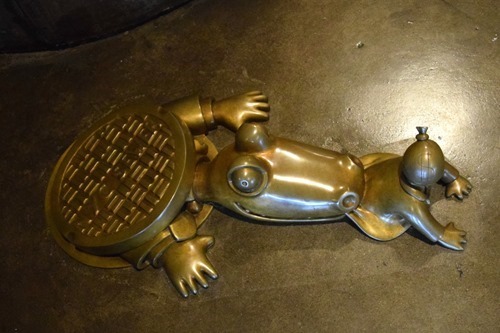 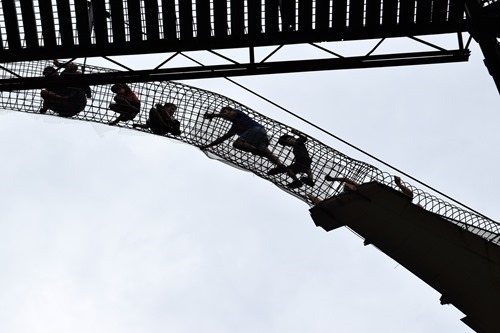 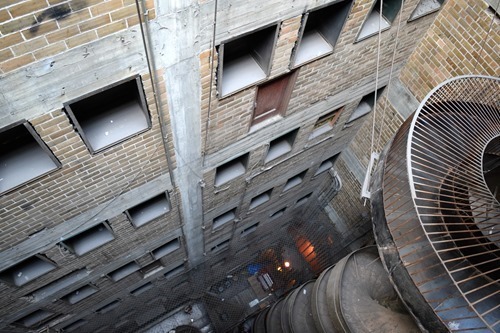 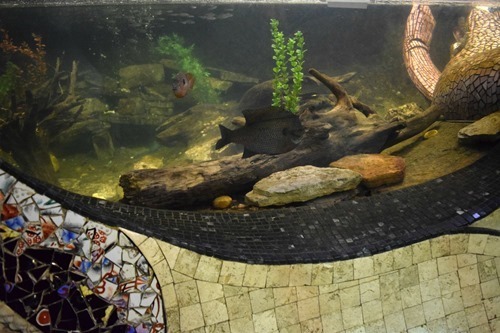 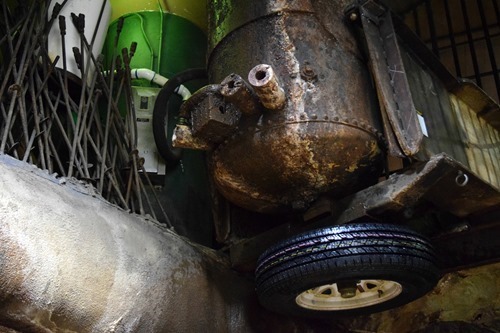 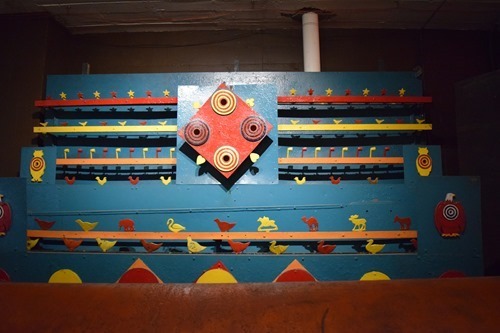 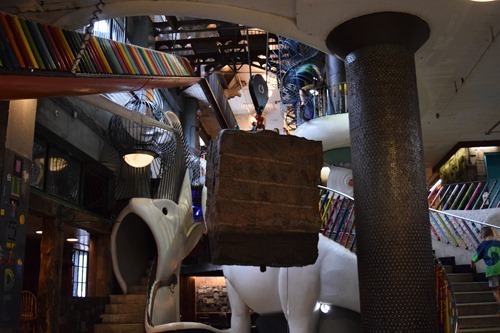 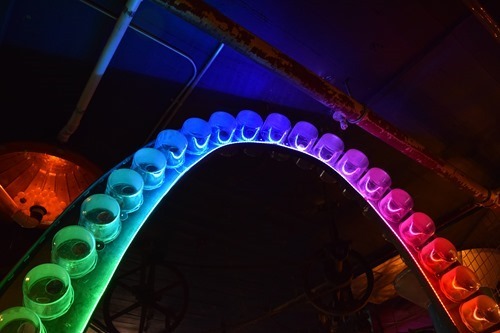 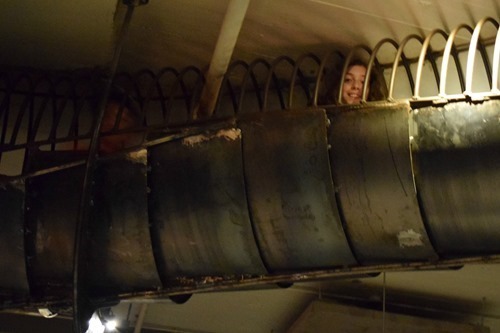 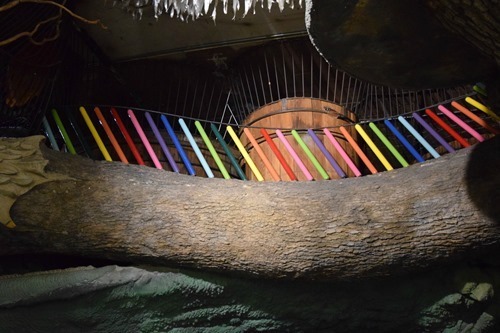 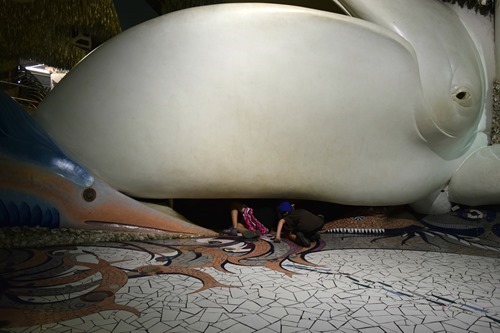 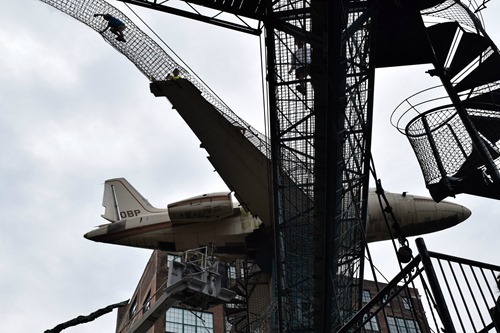 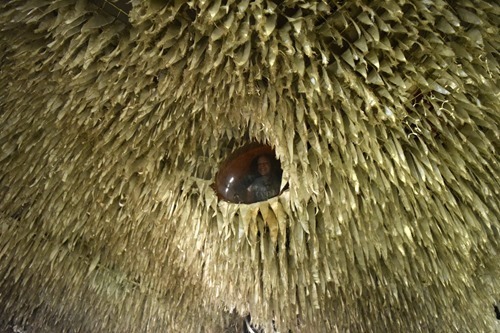 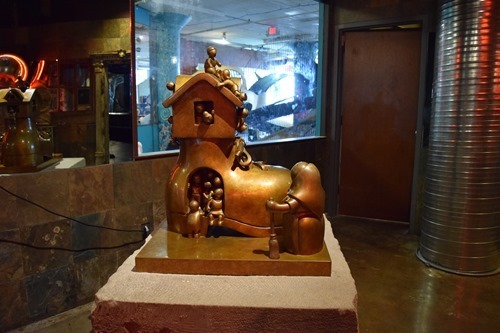 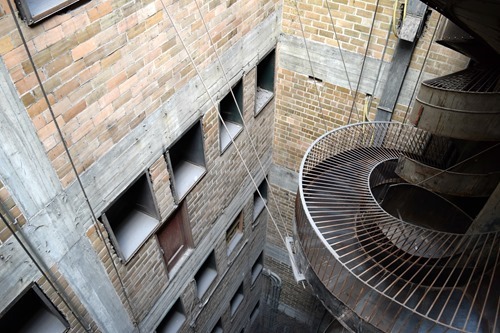 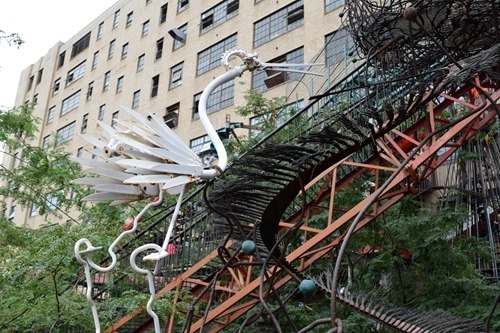 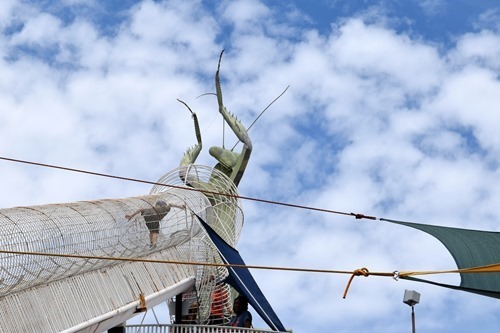 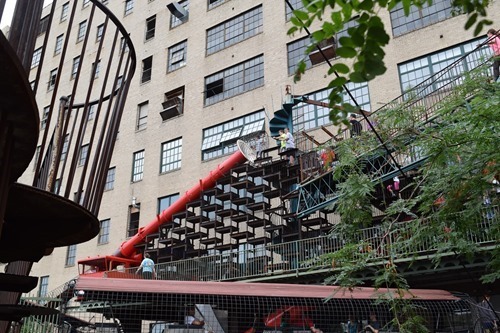 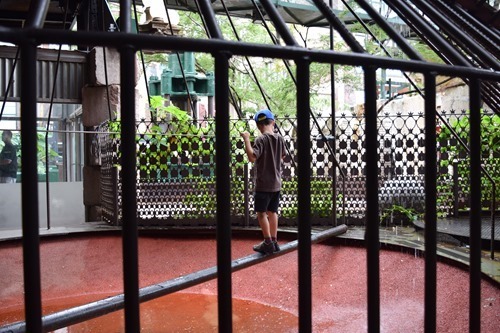 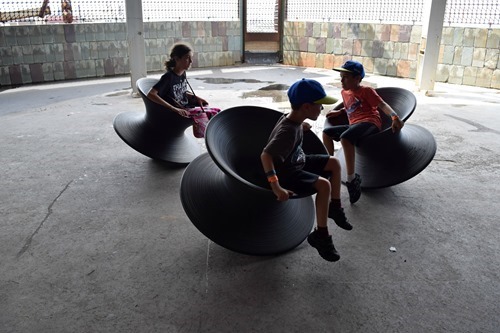 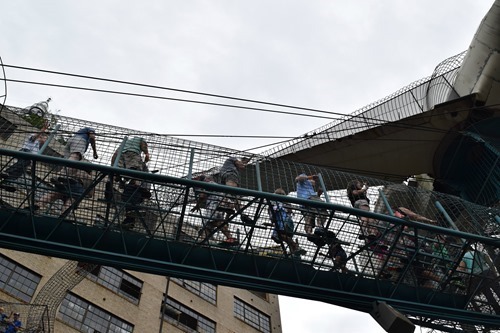 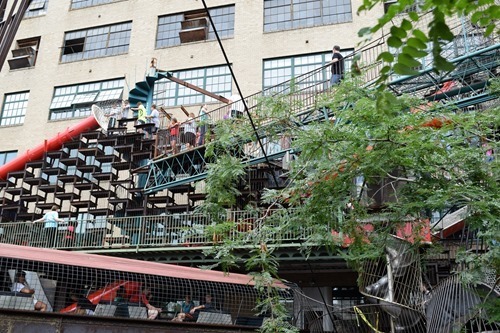 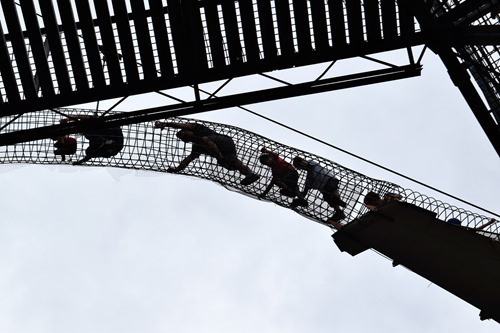 Have you ever been to the City Museum?